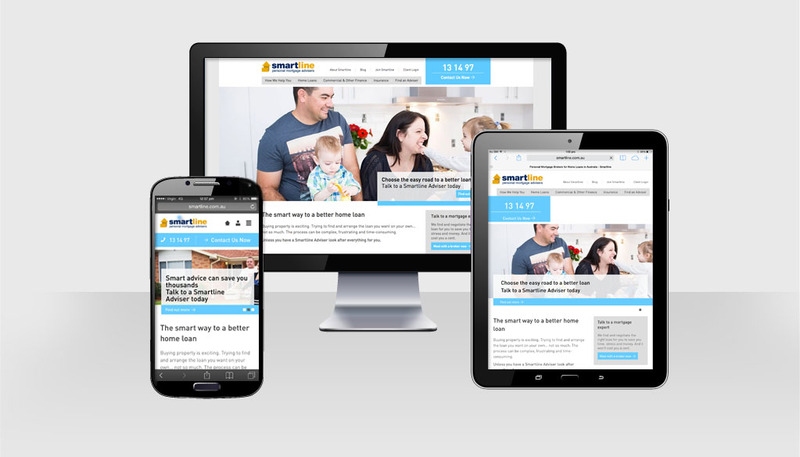 Website design & development for one of Australia's largest home loan companies. Hopping Mad have partnered with Smartline to provide graphic and web design work for over twelve years. Over this period, Hopping Mad has managed the Smartline brand, produced marketing and promotional work and most recently, re-development the identity. A key part of this brand re-development was a new website. The site they had was about six years old, heavy with content and not converting. The site strategy was based on conversion. Design was structured around clear call to actions, highlighted with bright and consistent colour. Text was re-written to be more concise and targeted. Infographics highlight key points in a visual manner to engage the reader and break up content. Custom data base development was executed, to build micro sites for each Adviser, with a geographic search filter. 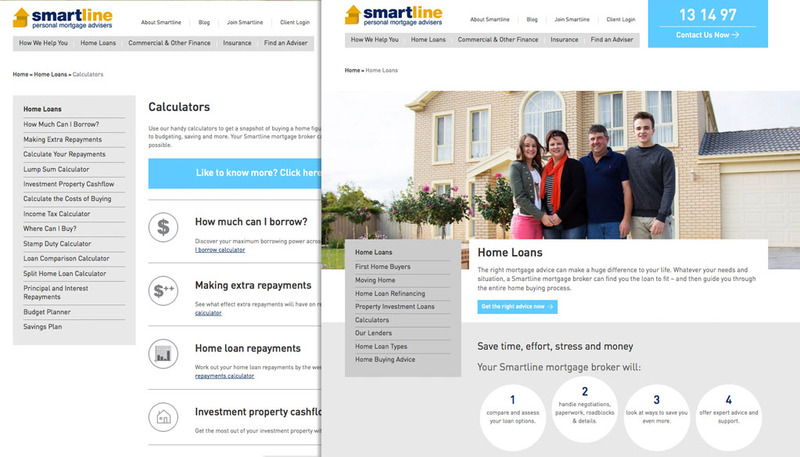 The new look of the site has lifted the Smartline brand to a more progressive and innovative level. Site bounce rates have significantly increased and conversion is up by 60%.